This building, in the style of the Chicago School, was built by the architectural firm of Burnham & Root. 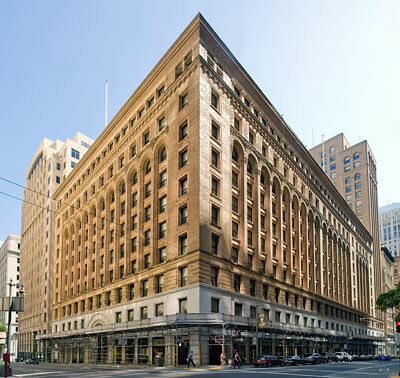 The 1890 building was the first steel frame building in San Francisco, and for many years, it was one of the tallest buildings in the city. The structure was seriously damaged by the 1906 Earthquake and Fire but was soon rebuilt and enlarged with Willis Polk as the chief architect. Polk designed further extensions to the building in 1914 and 1918. The 22-story Mills Tower, erected in 1931, was designed by Lewis Hobart. The Mills Building and Mills Tower are also San Francisco Landmark 76.